Hakkaisan has challenged the new concept of utilizing nature to mature Sake in the traditional food preserve cavern—Yukimuro. As snow falls heavily in Uonuma during winter season, massive amount of snow is stored this yukimuro creating a natural refrigerator that maintains stable temperature of 3 degrees Celsius (37.4 degrees Fahrenheit) throughout the year. 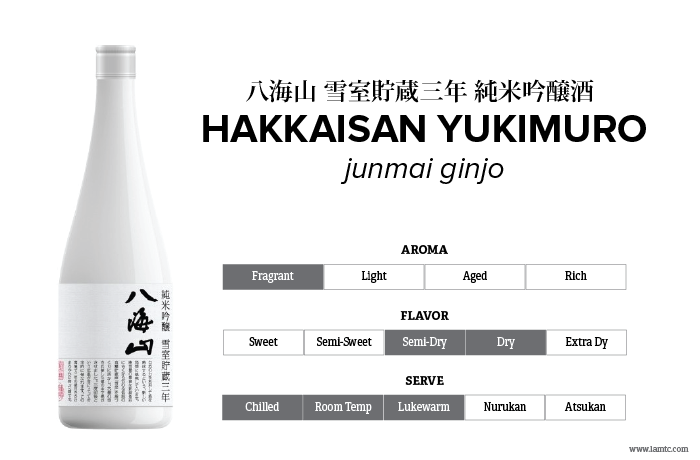 Matured and chilled under such condition for 3 years in the yukimuro, this Junmai Ginjo has developed a round and very smooth characteristics.